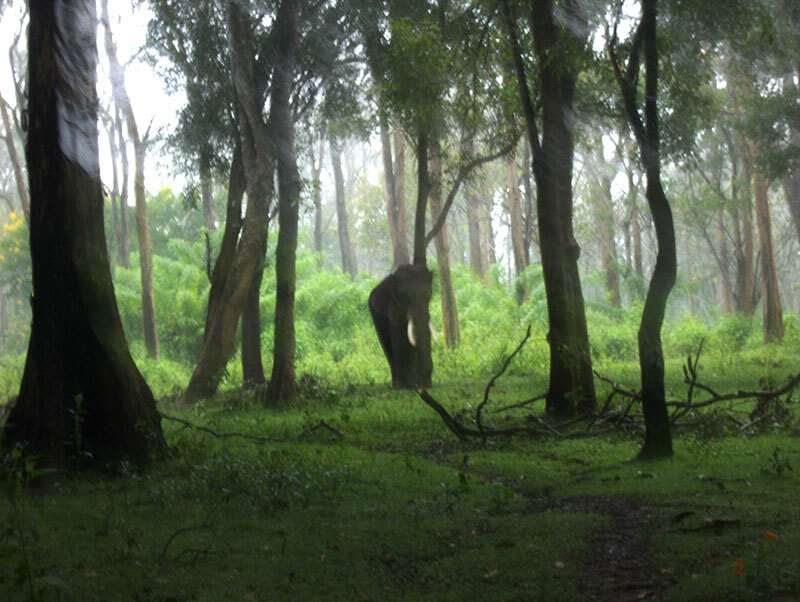 Muthanga Wildlife Sanctuary was a unique experience. It is on the Kozhikode – Mysore highway, an hour’s drive from Kalpetta (36 km). The sanctuary is open from 7 to 10 in the morning and 3 to 5 in the evenings. We started early morning from Kalpetta so that we could get in when the gates opened. The roads are good and there was little traffic at that time. The train journey from Kannur to Kasaragod is a scenic route. It runs close to the sea which can be seen at many points along the way. The tracks cross rivers and backwaters. There are dense mangrove forests near Kannur. 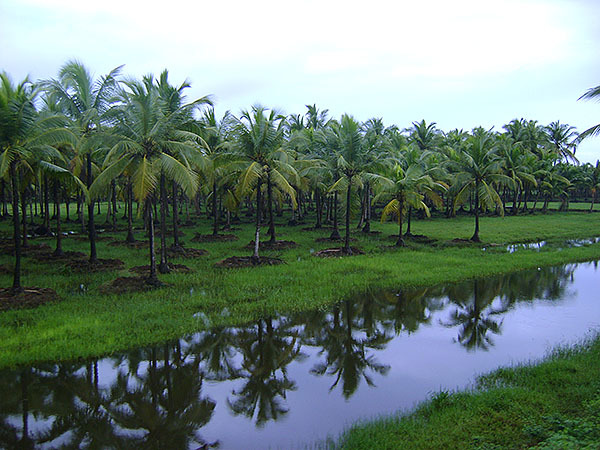 As can be expected in Kerala, coconut trees are seen everywhere. The landscape is lush and green during monsoons. 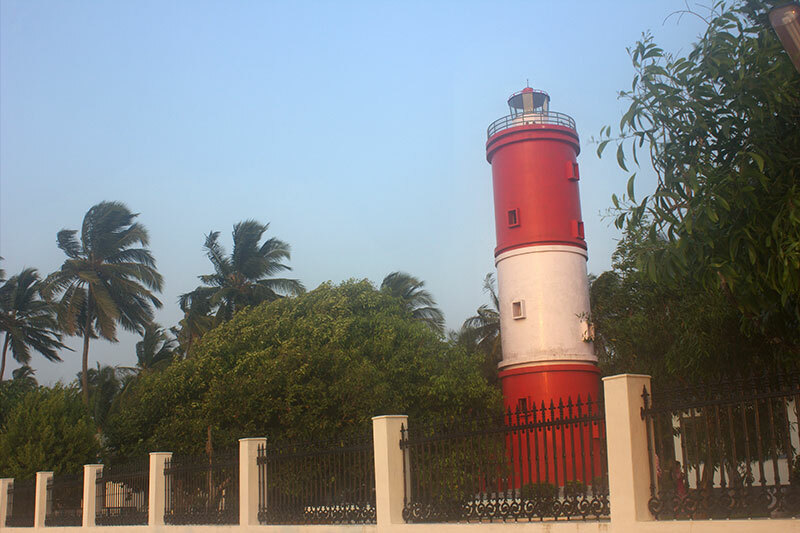 Kannur lighthouse is painted in red and white colours which look great. It is located right by the sea, about 1400 metres from Sri Narayana Park in Kannur. Adjacent to it are the PWD Rest House and Sea View Park. Chottanikkara Bhagavathy Temple is dedicated to Goddess Shakti and is visited by thousands of people every day. We went there on a Thursday morning last month. It is 15 km from Ernakulam South station. 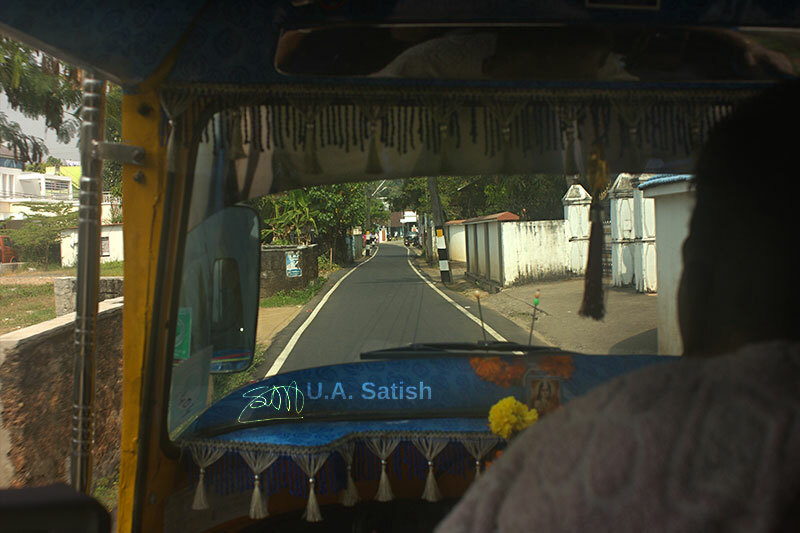 We hired an autorickshaw and the ride took us past Champakara Canal and the entrance to Hill Palace in Tripunithura. 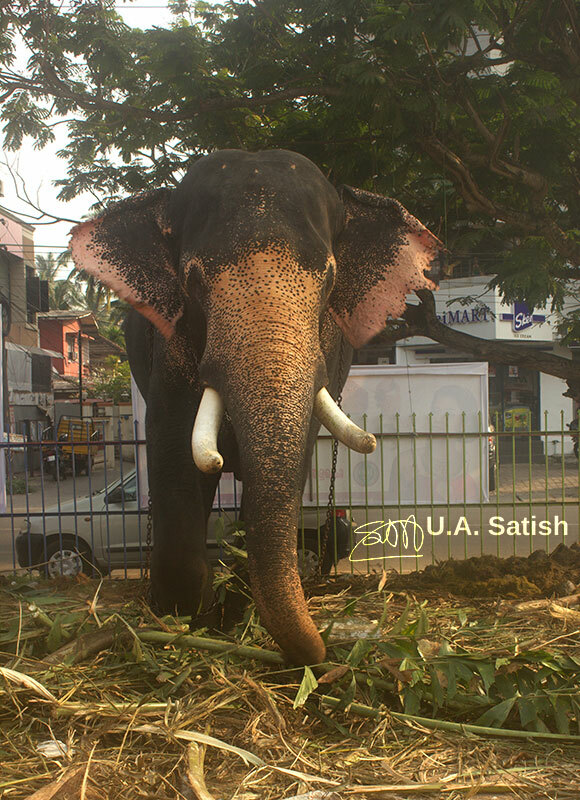 People in Kerala are in love with elephants. A crowd quickly gathers around an elephant whenever he makes a public appearance. Temple festivals are usually showcased with magnificent tuskers carrying the deity in ceremonial processions. They remain gentle and docile in the middle of large crowds or when fireworks are going on. Elephant is the state animal of Kerala and is featured on the emblem of Government of Kerala.